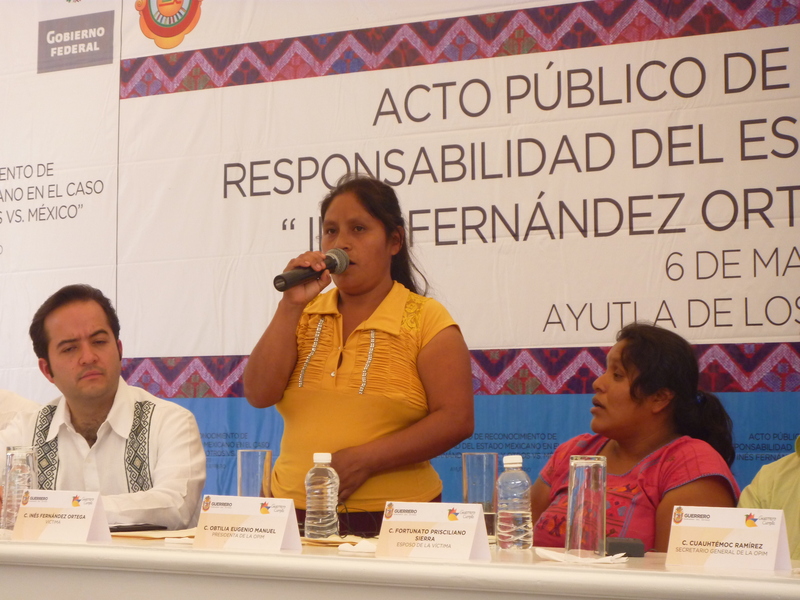 On 11 September 2012, Alejandro Poiré, Secretary of Governance, visited Ayutla de Los Libres to set the founding stone of the Center for Attention to Women and to preside over the signing of a Plan of Action and Commitment for the Development of the Me’Phaa and Mixteca Zone, which is slated to be supported by 30 million pesos for different programs. 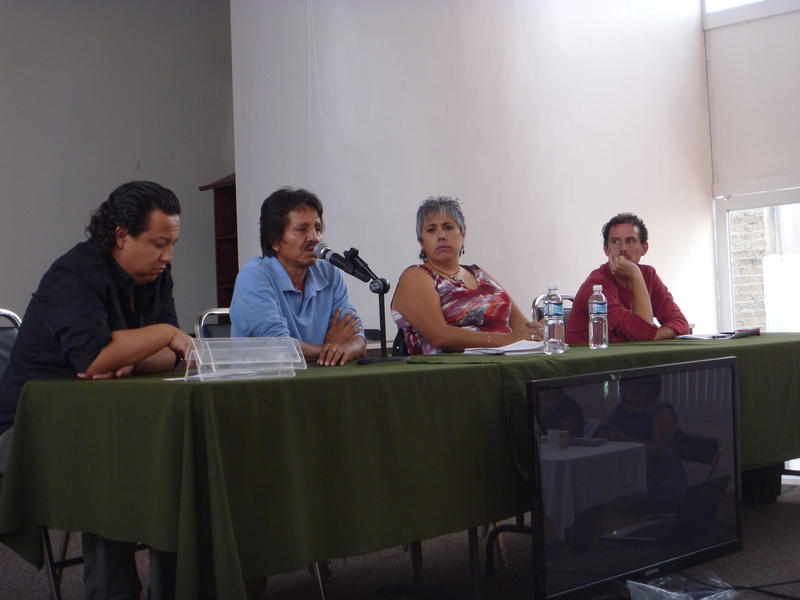 In this way, members of the Tlachinollan Mountain Center for Human Rights and the Organization of the Me’phaa Indigenous People (OPIM) noted before Poiré and the state government the failure of the observance of the sentence handed down by the Inter-American Court on Human Rights (IACHR) regarding the case of Inés Fernández Ortega, an indigenous woman raped by soldiers in 2012. On Friday 12 August and Saturday 13 August, human-rights defenders and journalists met to hold the Fourth National Meeting, which was originally called for by the Solidarity Network Decade against Impunity, the Program of Human Rights of the Ibero-American University of Mexico City and the ProDH Center. In the declaration of the meeting, participants recalled that all persons who either individually or collectively promote and request the protection and realization of human rights and fundamental rights whether nationally or internationally are to be considered human-rights defenders. For this reason, one’s professional experience or degree of pertenance to a given civil-society organization does not matter, insofar as the methods employed to defend human rights are to be found compatible with the same. 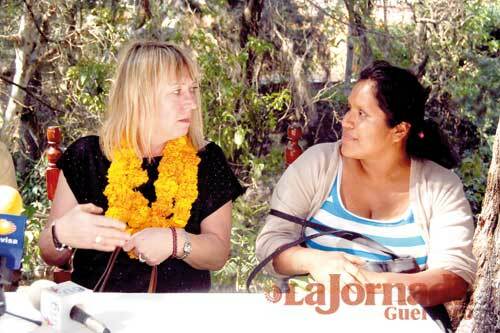 Participants also expressed their concern for the situation of human rights in Mexico. They indicated that the situation has suffered a grave relapse in light of the context of violence that prevails under the so-called war on drugs. Alejandro Nuño, director of the Center for Justice and International Law (Cejil), noted it was an advance that “the agreement for the creation of the mechanism of protection of defenders be published in the Official Daily of the Federation (DOF); regardless, it should be required that organizations be consulted so that there be a real instrumentation of the mechanisms and so that the investigation of aggression and death-threats be considered an indisputable part of protection.” Cuahthémoc Ramírez, secretary of the Organization of the Me’phaa Indigenous Peoples (OPIM), denounced that on Wednesday 10 August at midnight, some seven armed men identified as informants for the Army attempted to harass the offices of his organization. 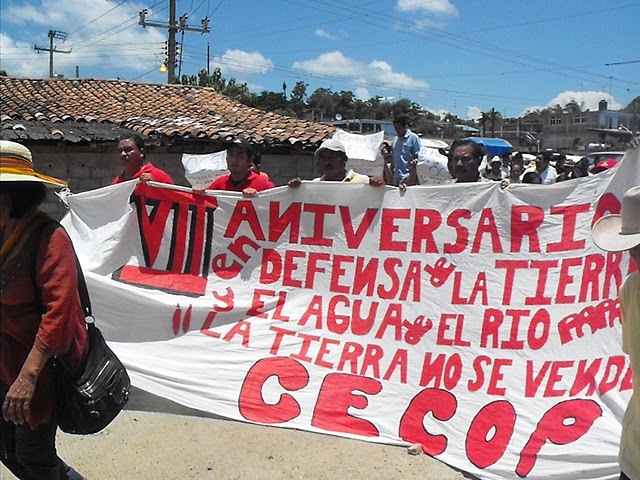 Magdalena López Paulino, from the Solidarity Network Decade against Impunity, indicated that in Los Pinos more excuses are sought so as not to observe the orders of the Inter-American Court on Human Rights (IACHR), as in the cases of the ecologist campesinos Rodolfo Montiel and Teodoro Cabrera. On 2 August, the Robert F. Kennedy Center for Justice and Human Rights (CRFK) and the Tlachinollan Mountain Center for Human Rights reported that they had had a meeting with Ángel Aguirreo Rivero, governor of the state, and Alberto López Rosas, State Attorney General, as well as several other state functionaries. The meeting had the objective of discussing the observance of the provisional measures granted to members of the Organization of Me’phaa Indigenous Peoples (OPIM), the Organization for the Future of the Mixteco People (OFPM), and Tlachinollan. The question of the implementation of the sentences handed down by the Inter-American Court on Human Rights (IACHR) in the cases of Inés Fernández and Valentina Rosendo against the Mexican State was also raised. At the end of the meeting, Aguirre committed himself to observing the sentences of the IACHR in both cases and assured that the state government is committed to reiterating its recommendation that the investigations be transferred to the appropriate federal institution. Furthermore, the government committed itself to soon reinstalling the public-security units for the protection of the offices of Tlachinollan in Ayutla de Los Libres. 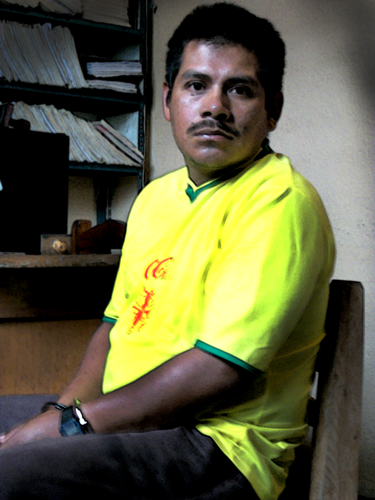 In other news, the Inter-American Commission on Human Rights (IACHR) requested that the State authorities urgently grant protective measures to the relatives of Javier Torres Cruz, a campesino who was murdered on 18 April in the community of La Morena, Petatlán. 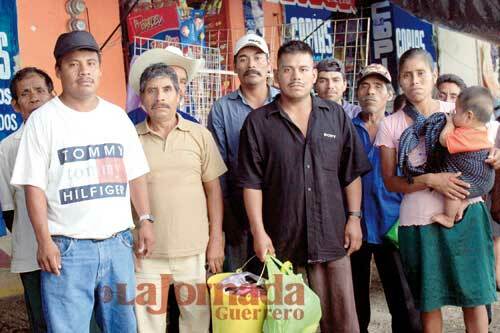 The measures that the IACHR is demanding for the Torres family are due to the incursion on 21 July by armed men dressed as Marines and civilians into the community of La Morena which developed into a confrontation with state police who were guarding the area. The harassment against Javier Torres and his family began starting in 2007 when police were told that evidence had been found regarding the presumed murderer of the lawyer Digna Ochoa.